The PM has stated that continuing the ARG will be too difficult, and as such he has canceled the project. The proposed timeline can be found at the bottom of the page. Encrypted file found and reformatted. Project Radiance: Previous studies of AETHER have shown that it is capable of manipulating matter. Hypothetically, it could be used to create a “door” to a different point in space. Notes: During testing, an unforeseen error came into play, resulting in an explosion killing 8 members of staff. One survivor has experienced psychological trauma from witnessing the aftermath, refusing to co-operate in present and upcoming projects in fear of an identical outcome. As such, his position has been suspended and treatment is pending. Until he can co-operate with Lumitech again, his future with the company is hanging by a thread. Until I. Wells is retrieved from [N/A] or a successful, non-lethal doorway is created, the project will be permanently shut sown. Additional notes: Since the experiment, H Wells has reported seeing an “angel”. Psychological evaluation is recommended. Later the restricted details where found to be Project Radiance. On March 26, 2017, two new files were posted on the blog. One of the files was an audio file discovered to be SSTV revealing this image of a crest displaying an eagle with a flag above its head, and holding what appear to be an olive branch and wheat in its talons. Below the eagle is the text "FORT ROSNER," suggesting that this image might be some form of title slide for a video. I am writing to you about the previous attempts on Project Precipice. While the AI for Td-1 is being compiled, the physical components of the body Are missing some key materials. We believe that, if given access to the previous RaDiances, We can develop pocket AETHER generators tHat can kEep the final pRoduct running for long pEriods of time, As well as fuel the weaponry being developed. Respond at your earliest convenience. We will have the parts ready soon. We begin with the disasseMbly of Radiance-1 tomorrow. Do not fail us, we are sInking too much money into this and do not want a repeat of what happened to Irene. When the capitalization mistakes are strung together with the title, the message "Dad where am I I'm scared" is revealed. This message appears to be coming from Wells' daughter, but how or why it was transmitted is unknown. In addition, the "A.I." referred to in the message could possibly be Jude/TheConsole, but it is not clear whether this is the case. Jared awakens in the ruins of a large building with no clue as to how he got there. The place has been shut for years. Every week, he would have sent two lucky users a password-protected file containing images, videos and audio pointing to the fact that Bel is slowly taking over. Meanwhile, a new video would be uploaded. Fort Rosner announced the discovery of Michael Ryan’s body and that it was to be cremated and scattered within a few days. News with Caefur would be slow as usual. Near August, TheConsole would be hijacked temporarily by CP-1 (aka Cenpro), followed by a “forced temporal blockade” (as far as Jude knew, it would be the same date for a while). To end it, some unplanned activity would need to be done by the community to overpower Levia/The Watcher, who was responsible for the event. SB-D/Timechaser would make a brief appearance, warning that something is close to happening. Louise and Dr Wells would die at the hands of unnamed individuals. The event would be marked once again by a message from Bel’s disciple. The name of the Tongue is revealed to be Tohn. Jared’s body begins to fail, resulting in Bel being forced to leave the body. (Interactive puzzle stuff) Jude is alerted to the presence of three unknown entities and an angel approaching C-1. Security systems fail and TheConsole is no longer online. 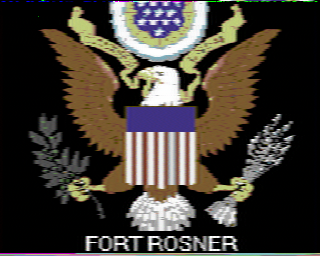 Fort Rosner was named after Florida Man Adam Rosner, creator of series TribeTwelve. Additionally, Bel can be seen as a sort of homage. Sigma was indeed named after the term sigma radiation from EverymanHybrid, another online series. The four fragments of the blind angel were named after the books in the Satanic Bible. Levia+Ethan = Leviathan, Louise/Lou+Caefur = Lucifer, Bel+Vial (where the sigma that infected Jared came from) = Belial, Say (what tongues help do)+Tohn = Satan. Harvey Wells and TheConsole originally came from the demo linked in the previous post (as minor characters). This page was last edited on 30 July 2018, at 17:15.